Seeing writing mistakes “out in the real world” makes me cringe. It happens on social media all the time, but when it happens in a reputable publication that I know has editors, I want to throw up! (Not that I’m perfect … I want to DIE when I see my own mistakes!) 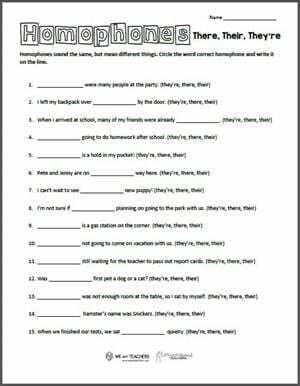 Anyway, one of my personal goals as a teacher is to root out those mistakes to where using the correct word or principle just feels right to my students. It’s a big task, I know. But practicing little pieces (like in this week’s free printable) is how we make progress. 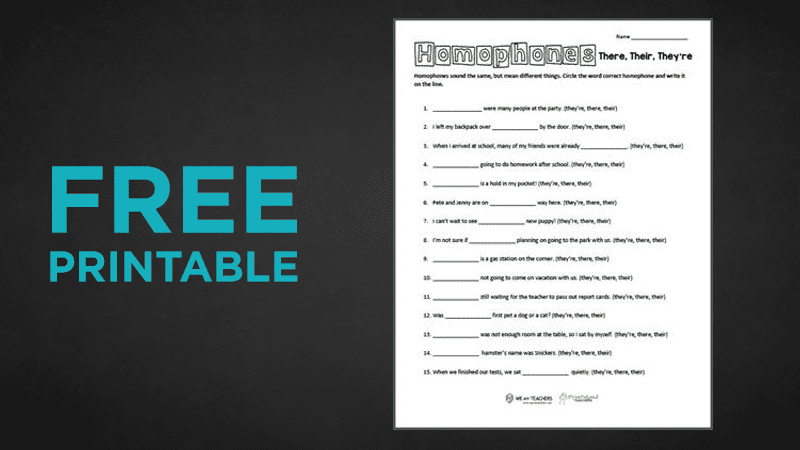 This week’s free printable is a practice page dealing with homophones, specifically “their,” “there” and “they’re.” It’s pretty self-explanatory, so it should be simple to hand out as a review. Enjoy!